Comes with: 2x 330mm Brushes, 2x Pad Drivers, 2x Batteries, Charger and Squeegee Kit. The FANG26T is a large easy to use walk-behind scrubber dryer used to clean floors in tough and dirty environments. 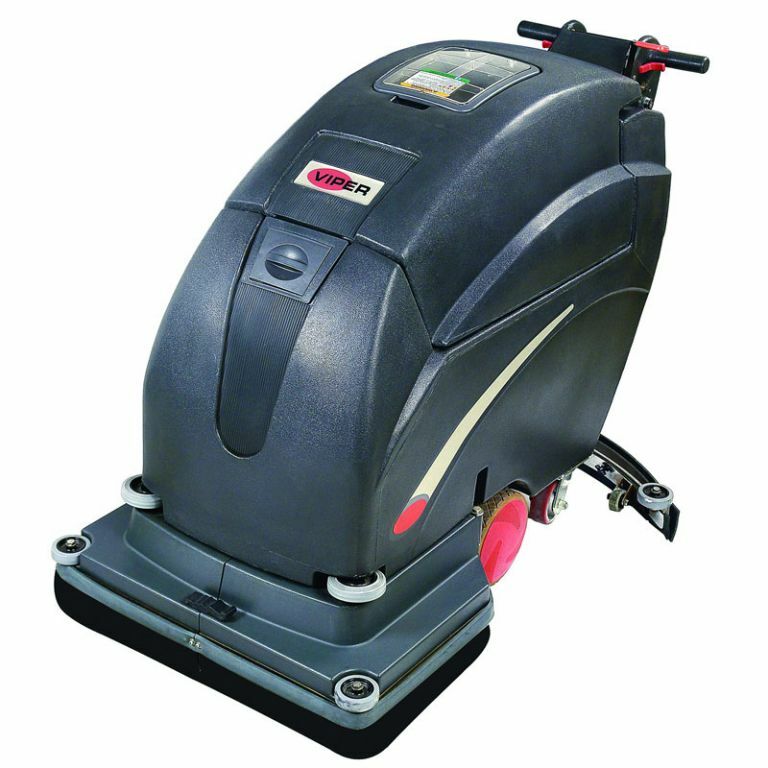 The variable pad pressure makes it possible to adjust to your cleaning needs. The FANG16T has a big tank capacity and a longer battery run time giving you the ability to clean for longer. You will find it ideally suitable for scrubbing and drying in tough and dirty environments. Any prices displayed for Specialist Cleaning Supplies are listed in (NZD $) and are GST Exclusive.